Become a member of the Smethwick Heritage. The work we do is carried out by our team of volunteers, but even so it costs us money to continue this work. SHC is self funded & receives no financial support other than our own generated income. This comes primarily from membership subscriptions and donations, for which we are extremely grateful. Our on-line shop is growing in popularity & provides much needed additional funds. 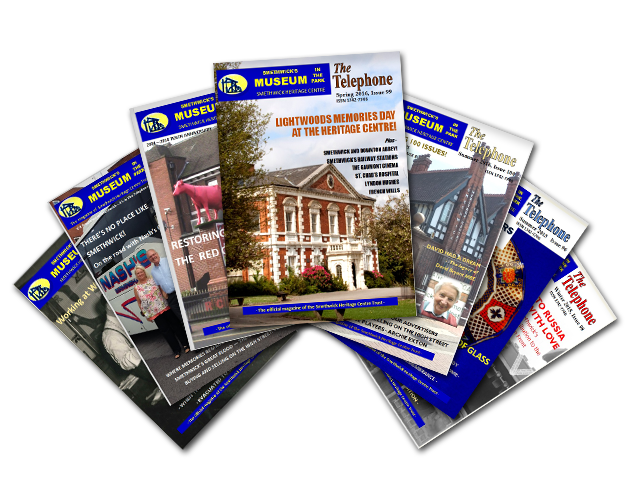 By taking out an annual subscription & becoming a member you will receive a regular copy of the Smethwick Heritage Centre’s quarterly magazine, “The Telephone,” delivered to your door. 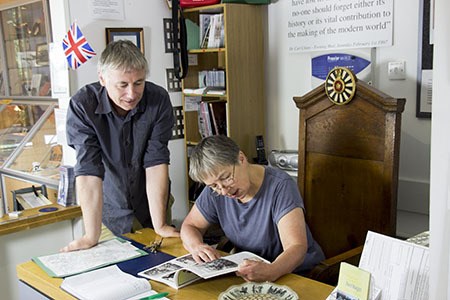 You will also qualify for a 50% discount off the regular price of our Genealogy sessions as well as helping us to continue to celebrate the rich & diverse history of our wonderful town. Each edition of The Telephone contains a wide variety of historical articles & reminiscences of Smethwick, news of forthcoming events, exhibitions & Roadshows and of course lots of photographs old & new. There is also a regular selection of readers’ letters. If you are not already a member, please consider joining us. You can now take out a new subscription or renew an existing subscription on–line or by visiting us at the Smethwick Heritage Centre Lodge in person. We also accept cash. If you are able to “Gift Aid” your subscription it would help us enormously. Membership now runs on a “rolling year” basis; subscription reminders are often sent out as renewal dates approach. New members are vital to us so please consider adding a relative or friend.